ERODE WDP-4D meets ERODE WAP-4 !!! Every time when I shoot trains on bridge, I wish two trains come opposite. It has happened before but timing was not perfect. Finally I got lucky. 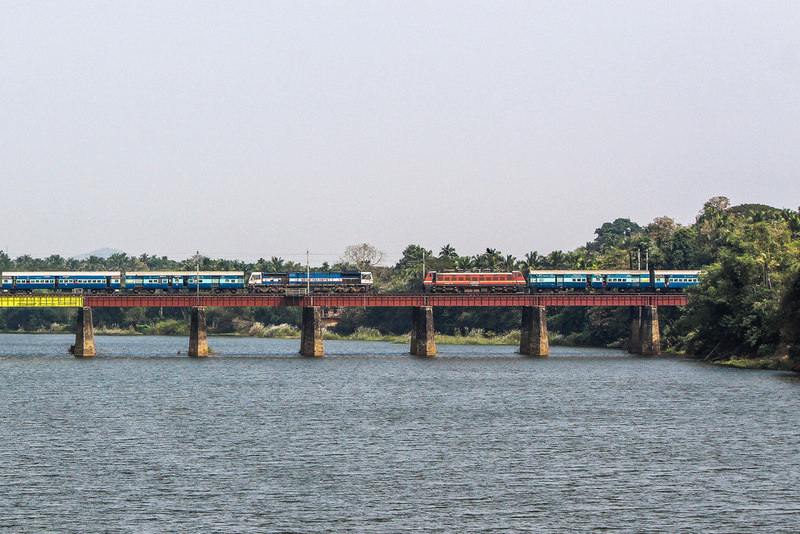 ERODE WAP-4 powered SABARI Express crossing ERODE WDP-4D powered ERNAKULAM Intercity Express on Bharatapuzha bridge . @Maersk.146 Thank you !! !Sheer luck that timing was perfect !! !